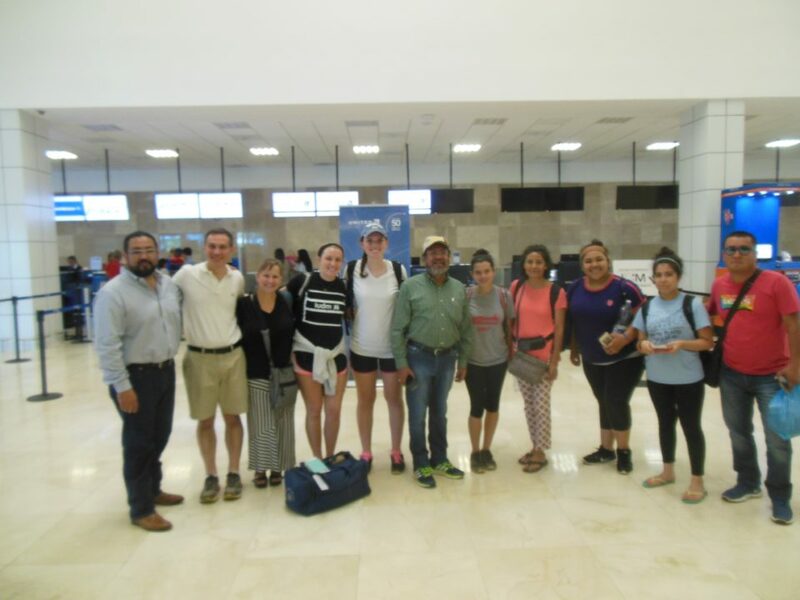 Every June since 2006, St. Mark’s has sent a group of parishioners, high school & college youth and adults, to Mexico. Over the years, while many have gone on the trip, all of us at St. Mark’s have shared in this companion relationship with San Marcos in Nigromante, participating in fundraisers, attending informational presentations, listening to stories, and meeting with Bishop Benito and Angelica from the Diocese of Southeast Mexico when they visit. 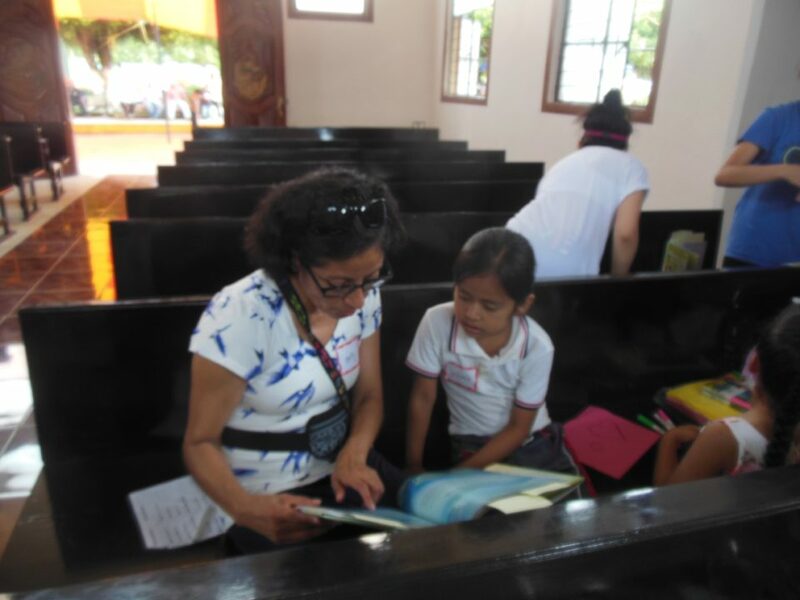 St. Mark’s is actively involved in the Diocesan Subcommittee for Southeast Mexico. Our relationship with San Marcos is part of a Diocesan companion relationship and is shared with others participating in this broader community. In June 2017, St. Mark’s sent a group of eight to San Marcos. It’s almost 2 days of traveling, each way, which includes flying 2 legs, changing planes in Mexico City, and then driving from the city of Veracruz to Nigromante, near the border of the state of Oaxaca. As we get closer to Nigromante, the roads get hillier and rougher until we turn down the dirt road that takes us into Nigromante. This year when we arrived, there were fireworks, a band playing, dancers, and a meal waiting. It was the eve of the Feast of San Antonio de Padua, and we were welcomed to the celebration of one of the most important days in the life of San Marcos and the town of Nigromante. We had made plans for our visit, but every year, there’s the unexpected and the necessary adjustments that remind us that we aren’t always in control, that we need to be open to new experiences, new plans, put away our schedules, our watches, our phones, and just be present. 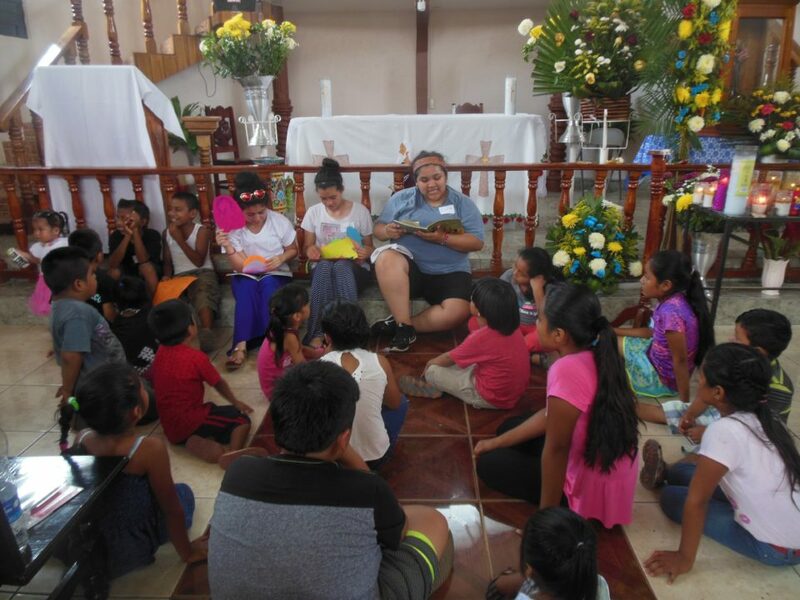 Yet, as we do every year, we ran Vacation Bible School for the children of Nigromante, and then, with the help of the women and men of the church, we provided a community dinner, right in front of the church, in the heart of the pueblo. At the end of each trip, usually while we are at the Mexico City Airport waiting for our flight to Chicago, we do “a Rose and a Thorn.” Each person goes around and talks about what she or he liked best about the visit and what the biggest challenge was. One rose this time was that everyone was engaged in all the activities, the fiesta, the misa/service, VBS, the community dinner, meeting new people, and playing and getting to know the children of the town as well as the host families. We stayed in homes for two of the nights, something we have done since our first visit, and something that everyone has agreed is one of the most important parts of the trip. A thorn, on almost every visit, is that there wasn’t enough time. We needed one more day. On our last morning in Nigromante, when we were getting ready to leave, we embraced the women we have known for so many years, Modesta, Catalina, Karla, and others, kissed the babies who had arrived since our last visit, hugged the kids who had skipped school to see us off, shook hands with the older men who no longer worked the nearby ranches. They now know we will return. We are blessed by the relationship with our friends at San Marcos. We are also extremely grateful for the participation, support, and contributions from our parish, which have helped make this trip and companion parish relationship possible. In 2017, we raised over $6,700 from our Cake Auction and Bake Sale, Mother’s Day Rose Sale, the Cinco de Mayo Dinner and Silent Auction. Additionally, we also received some very generous donations individual St. Mark’s parishioners, one who was able to get a matching grant from his company. These funds not only helped send St. Markers to Nigromante, but allowed us to pay for half of Padre Senobio’s $6,000 salary (his 3 parishes will never be able to support him financially). These contributions provided $2,500 in scholarships to help keep kids in school, grades 3 and up. They helped us pay for the building project adjacent to the church – a place where Padre Senobio now works and the parish holds meetings and where small groups of visiting doctors can stay. Contributions also help support the church bakery/panaderia, which provides a skill and income for poor women and for the church. We ask for prayer for the people of San Marcos and the Diocese of Southeast Mexico. Gracias. St. Mark’s returns to San Marcos June 17-22, 2018 for our 13th visit! For more information, contact Kim Reed at kimreed178@gmail.com.